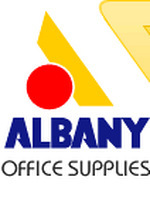 Albany office supplies has been in the office products and printing industries for over 30 years. Albany is a fully Irish built and Irish owned company. We know the level of service people expect when it comes to delivery and ease of ordering. We also ensure our prices are competitive and the products we sell are always top quality. By looking after these simple guide lines we have become one of the largest Irish dealers in the Stationery industry. Followers receive updates on new jobs or opportunities posted by ALBANY OFFICE SUPPLIES.